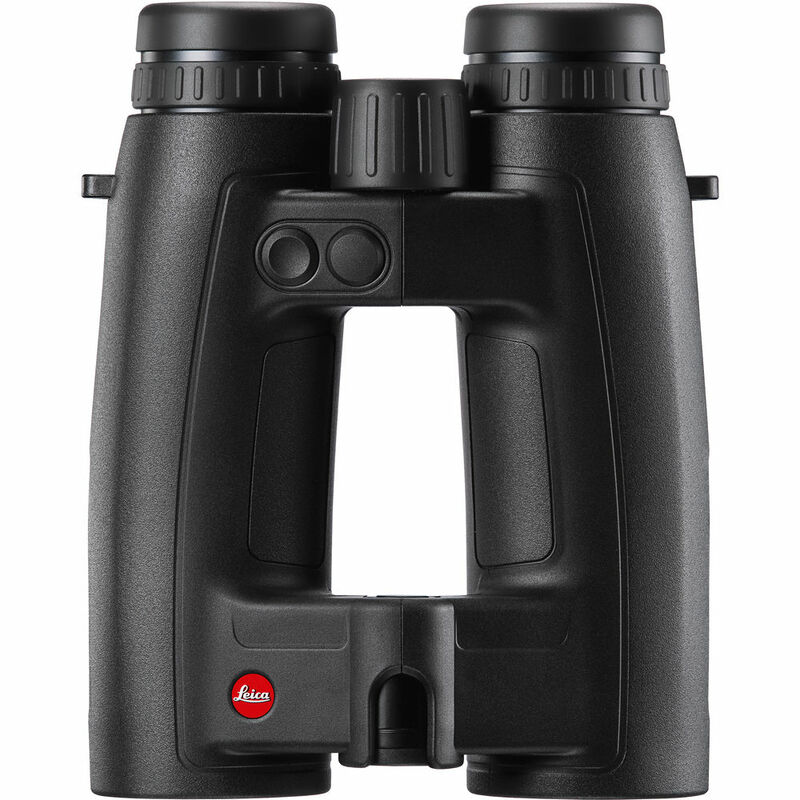 This edition of the Leica 8x42 Geovid HD-B Rangefinder Binocular upgrades the ranging capabilities from earlier iterations, allowing it to measure out to a maximum of 2200 yards. 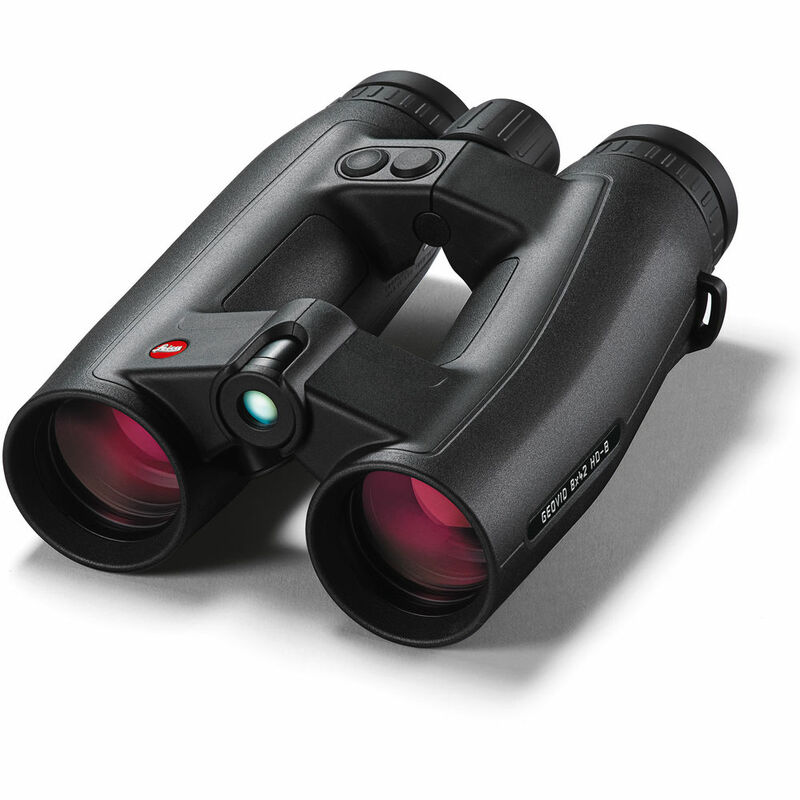 It fuses the image quality of a fully multi-coated optical path with the functionality of a powerful rangefinder and an integrated ballistics computer. Leica's Advanced Ballistic Compensation (ABC) technology combines temperature and air pressure readings with rangefinder data, zeroed distance, and a user-defined ballistics curve to calculate ballistic compensation values. 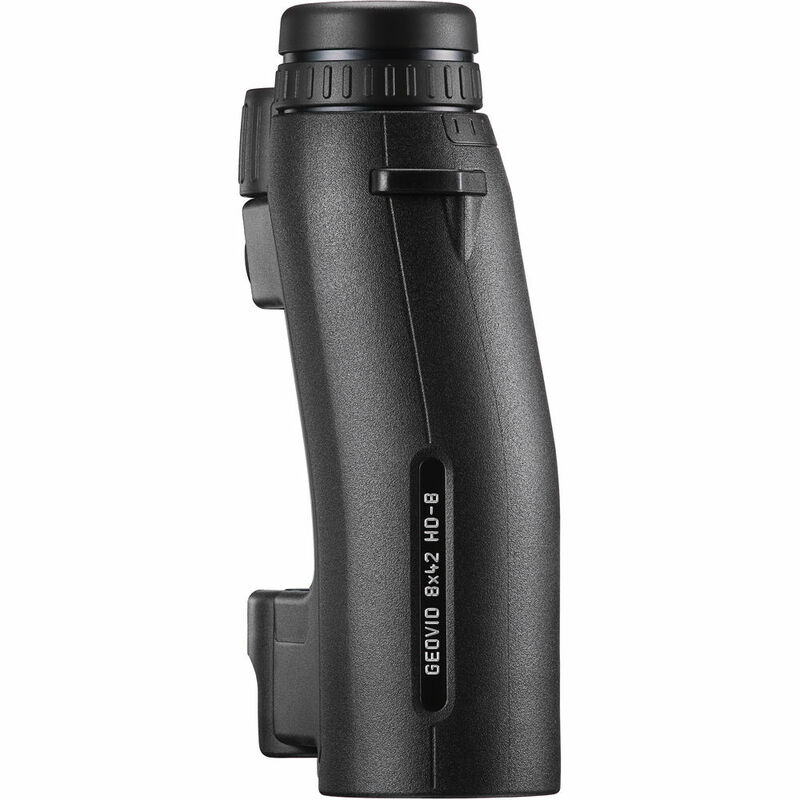 To maximize the accuracy of compensation values, the Geovid allows the shooter to input their rifle's zero distance and select a ballistics curve corresponding to the chambered round. The HD-B is pre-loaded with 12 ABC ballistics curves for common calibers and loads, and alternative ballistics curves can be calculated on the Leica website, stored to - and uploaded from - a microSD card. An in-view LED display allows the observer to view the calculated ABC values without taking their eyes off the visual scene. Box Dimensions (LxWxH) 10.7 x 8.3 x 6.6"